Happy World Tai Chi and Qigong Day! World Tai Chi and Qigong Day was first launched in 1999 in Kansas City, Missouri, where the Kansas City Tai Chi Club held a public demonstration and class with over 300 attendees. With coverage from CNN Headline News, the event quickly gained national, and then international attention. The event has been proclaimed or recognized by the Governors of 25 U.S. states, the Senates of California, New York, and Puerto Rico, the United Nations World Health Organization, and by countries as diverse as Brazil and Croatia. To educate the world about the profound health & healing benefits of Tai Chi & Qigong for individuals, communities, and nations. To thank Chinese culture for creating and sharing these profoundly valuable gifts with the world. To bring people together across racial, economic, religious, and geo-political boundaries; to join together for the purpose of health and healing, providing an example to the world. To give a powerful example of how the power of the Internet can be used to foster global health & healing. "One World, One Breath" is the motto of the organizers of the event, and it's a powerful one! What a beautiful concept - using Tai Chi and Qigong to not only heal ourselves, but to bring people together and create healing around the world. So: what are you doing to celebrate World Tai Chi and Qigong Day? ​These studies have also pointed to the psychological benefits to be found in practicing these arts, mainly via anxiety reduction. ​It's great to see not only the scientific community continuing to research the benefits of these amazing healing arts, but to also see that research supported and shared by the Federal government. 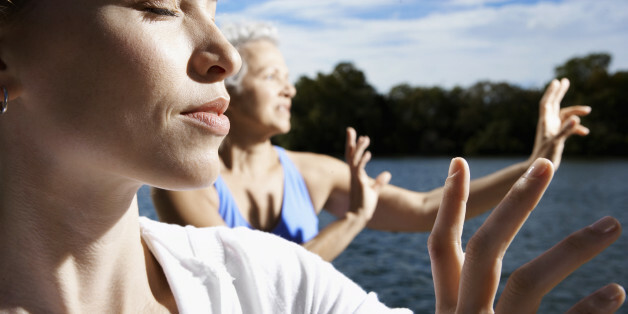 ​Now, WE know that there are many more benefits to be gained from practicing Qigong and Tai Chi...and you have probably experienced some of them yourself! We'd love to hear about your experiences - please share them on Facebook and the comments below. 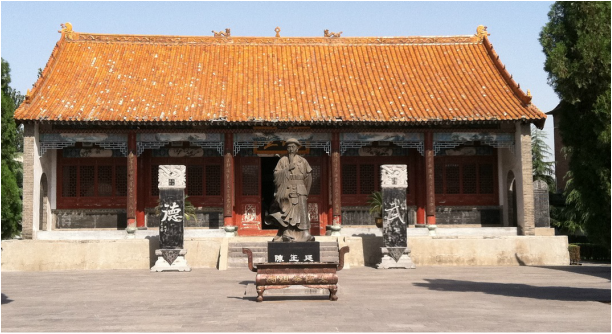 In this post, we will introduce the concept of yin and yang, one of the fundamental concepts underlying Chinese culture, including medicine and the martial arts (such as Tai Chi). 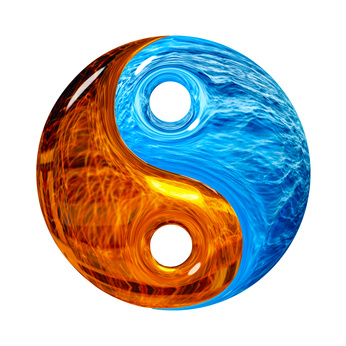 The yin-yang theory, originating in ancient China, is a method for observing and analyzing the material world. It is a philosophical conceptualization describing the two opposing natures which may be observed within anything. The Chinese people understand that all aspects of the natural world have a dual nature: day and night, up and down, hot and cold, and so on. pertain to yang. Those phenomena associated with water such as"
Within the field of medicine, different functions and properties in the body are associated with yin or yang. For example, the qi of the body, which has moving and warming functions are yang while nourishing and moistening functions are yin. The yin-yang nature of the universe is not absolute but relative. Yin may transform into yang and vice versa. This is referred to as the inter-transformational nature of yin and yang. Any phenomenon may be infinitely divided into its yin and yang aspects. For example: day is yang and night is yin. However, morning is yang within yang and afternoon is yin within yang. The first half of the night is yin within yin and the second half yang within yin. It can be seen that yin and yang are at the same time opposite and yet interdependent.